Suttons Bay is the first community you come to along M-22 as you head north out of Traverse City. Suttons Bay is in Leelanau County about midway up the eastern shore of Leelanau Peninsula. A very popular destination in the summertime, Suttons Bay is also a favorite spot to visit in any season, especially in the fall while travelers discover all the delights of an M-22 color tour. 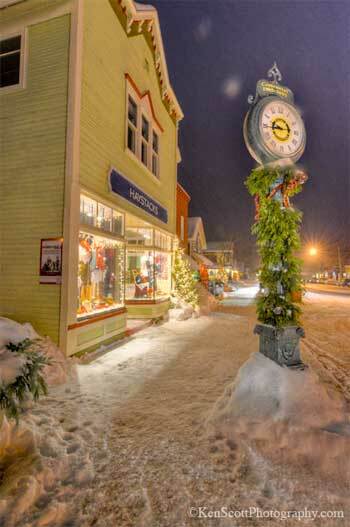 This coastal village along the Grand Traverse Bay is filled with specialty shops, art galleries and many unique dining experiences. Suttons Bay is a wonderful, walkable community. Check out the Leelanau Sands Casino. Just north of Suttons Bay in Peshawbestown, the casino offers fun and entertainment for all, drawing crowds from all over. Don't miss The Bay Theatre. This small, historic theatre has state-of-the-art equipment and delivers current, independent and foreign films. Leelanau County is the heart of Michigan wine country, and you will find many wineries nearby including Black Star Farms and Suttons Bay Ciders. The Suttons Bay shopping district is truly charming, with over 25 retailers welcoming you into their unique shops offering a wide variety of items for an exceptional shopping experience. You will find books, fine clothing, home furnishings, toys, Michigan-made products and a great selection of gourmet foods. When you shop in Suttons Bay, you are sure to find some wonderful treasures to bring home. Explore stores like Suttons Bay: At Home, Bahle's of Suttons Bay, Bay Wear, Enerdyne, Forget-Me-Not Florist, Haystacks, Lima Bean, Northern Building Supply, Suttons Bay Marketplace, Suttons Bay Trading Co. (Spices), The Front Porch, The Happy Woman Store and Thistledown Shoppe. In the midst of all the beauty surrounding Suttons Bay, it's only fitting that there are many galleries in town which present the works of many local artists. Here are some of the art galleries you can browse in Suttons Bay: Brenda J. Clark Gallery, Case-Daniels, Michigan Artists Gallery, Suttons Bay Galleries, and The Painted Bird. The Suttons Bay community offers many hiking trails, including trails at Bahle Park and the TART trail on the edge of town. On these trails, you can bike, hike or meander for minutes or hours. For some relaxation and a tasting adventure, you will love discovering the many wineries situated along the scenic country roads filled with rolling hills and picturesque vineyards. Suttons Bay is in the heart of Northwest Michigan’s wine country. 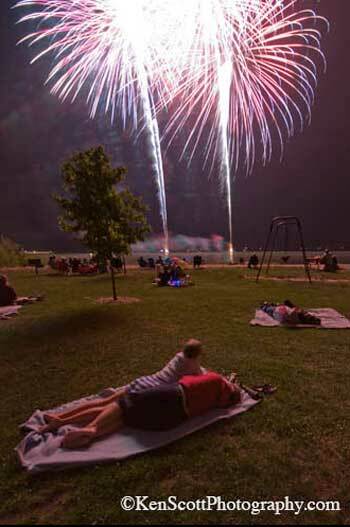 The Marina Park in Suttons Bay is an ideal spot for the family to spend a day at the beach. The Inland Seas, a schoolship schooner, is docked on the south side of the marina. 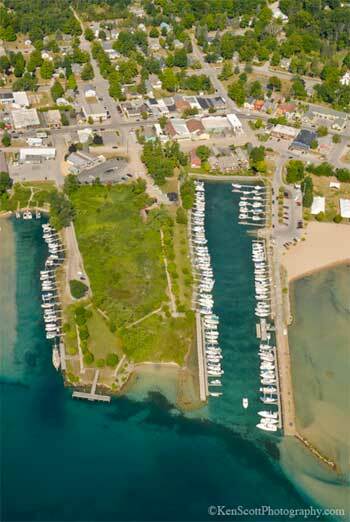 While in Suttons Bay, you can enjoy the view of a variety of boats moored all along the lakeshore on Grand Traverse Bay. Suttons Bay offers foodies a diverse mix of unforgettable restaurants and dining experiences. With over 14 restaurants, your options are as varied as your taste of the moment — scrumptious breakfasts, European-style cafes, Chinese, Italian, even the catch of the day! There are also pizza places and ice cream parlors, coffee shops, candy stores and bakeries. Local delis make it easy to pack a picnic and head to a Suttons Bay beach or park. There is great food for everyone in the family in Suttons Bay! So pick your adventure in Suttons Bay – whether it be golfing, shopping, enjoying a day at the beach, or savoring the local fare and award-winning wines. Take your time – catch your breath – relax.